(or Frikkadel that I was raised on) with just some garlic mushrooms when I saw this lonely bowl of leftover cauliflower cheese bake. Last time I made pumpkin fritters with leftover pumpkin so I decided to use the cauli and cheese to make, well cauliflower and cheese ‘sauce’ to have with the mushrooms and Frikkadels. Yummos! Mix the mince with all the dry ingredients. Mix in herbs and pastes and chilies. Mix egg and buttermilk and splash of Worcestershire sauce. Add to mince with breadcrumbs. Shape and set aside for about 20 minutes. Fry in about 2-3 tbsp oil on low heat until golden brown. I prefer to cover with a lid after 1 minute and before turning. Add the cauliflower and cheese to a blender. Add the splash of boiling water and blitz to loosen up and break up any cauliflower particles. Then add the cream until you get a smooth consistency. Fry the mushrooms in butter until it softens and releases its own water. Add seasoning and mix through. Add your cauliflower and cream sauce. 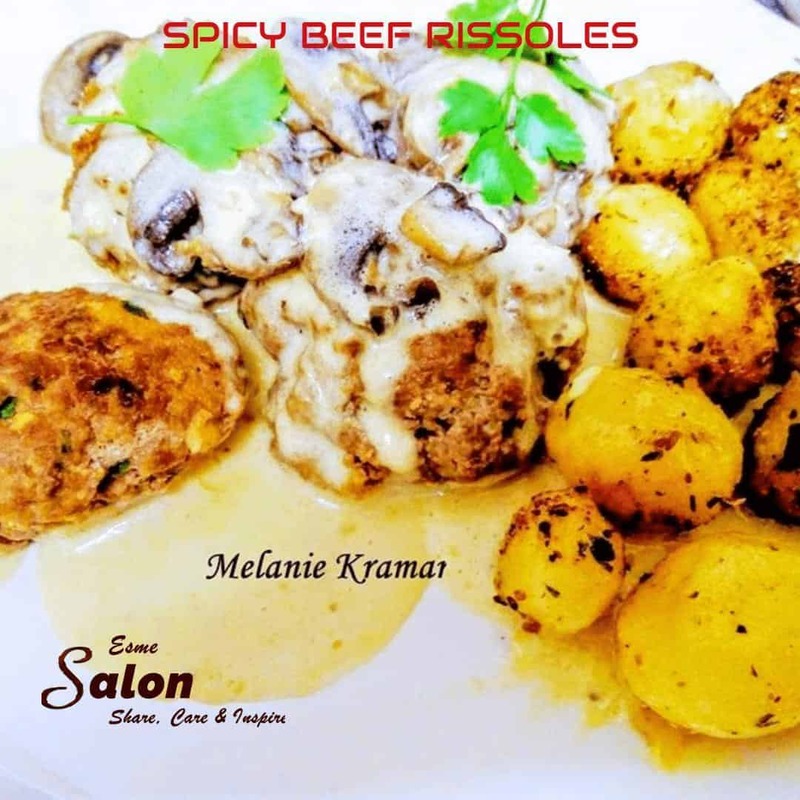 So I decided to make the humble Spicy Beef Rissoles, will you also try it?